There’s a special kind of anxiety that grips you when see your child’s school on Caller ID. You can generally assume a teacher isn’t calling to say, “Your kid did nothing objectionable today—keep up the good work!” So when I answered the call from my daughter’s second grade teacher, I braced myself—correctly—for some unhappiness on the other end. And I heard all about the inappropriate outburst that had disrupted class that day. My little girl, it seemed, had become outraged by a lesson on the American Revolution, because it spoke of Paul Revere, but made no mention of another midnight rider from that time. “What about Sybil Ludington? She did the same thing! But she rode twice as far and was only sixteen!” my eight-year-old had announced loudly and indignantly, before launching into a lengthy monologue about how sexist historians had allowed that glory-hog Revere to steal the spotlight from a far-more-impressive young woman. While I conceded that my daughter could have used a wee bit more tact while addressing her teacher, I couldn’t help but have mixed feeling about the incident. And maybe even a touch of pride. Because my daughter was right. This was, however, just the beginning for her. When discussing the Civil Rights movement, she asked, “What about Claudette Colvin?” When learning about computers, it was, “What about Ada Lovelace and Grace Hopper?” That same “little girl” is now looking at colleges, but she’s still out there championing history’s forgotten figures. 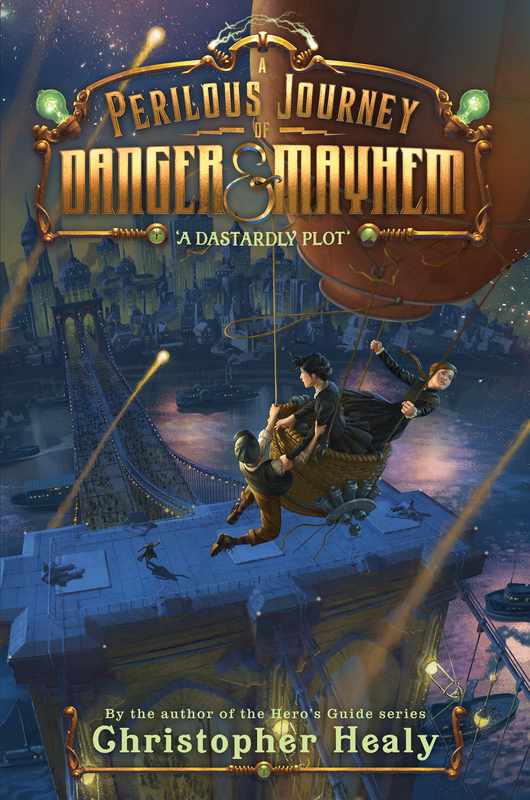 When I first set out to write my new series, A Perilous Journey of Danger & Mayhem, I wanted it to be a sort of Americanized Jules Verne adventure—something with old-timey robots and bizarre inventions. And I thought it would be fun to populate the book with comically tweaked versions of real historical figures, just as I had filled my Hero’s Guide series with revisionist versions of famous fairy tale characters. But as I started researching inventors like Thomas Edison and Alexander Graham Bell, I began discovering women like Josephine Cochrane (who invented the dishwasher), Sarah Goode (who invented the foldaway bed), and Margaret Knight (who invented the paper bag), all of whom were active at the same time as Bell and Edison. And I began to ask myself what my daughter would think of this. What other incredible feats could these talented women have accomplished had they been afforded the same opportunities as those famous men? Why was I only looking to household names for inclusion my story? I decided that these overlooked women should be in my book too. And my main protagonists, though fictional, needed to be like them—bold, inventive, groundbreakers who have to battle not only an evil villain, but also a society that presents them with constant obstacles, holds them back, and tries make sure they never amount to anything more than a historical footnote. And so Perilous Journey took on a new spin. It’s still a retro-sci-fi mystery adventure. But it’s also a story about how a hero isn’t defined by how much fanfare and recognition they get, and how sometimes the people who get the least from society do the most to protect and advance it. With luck, maybe girl and boy readers alike will be inspired to look up some of the folks they discover among my pages. And if people like Mary Walton and Hertha Marks start getting the name recognition they deserve, then if nothing else, I know I’ll have made my daughter proud. It is 1883—the Age of Invention! A time when great men like Thomas Edison, Alexander Graham Bell, Nicola Tesla, and George Eastman work to turn the country into a mechanical-electrical-industrial marvel: a land of limitless opportunity. And it all happens at the world famous Inventors Guild headquarters in New York City—a place where a great idea, a lot of hard work, and a little bit of luck can find you rubbing elbows with these gods of industry who will usher humanity into the bright promise of the future. Molly Pepper, daughter of brilliant but unknown inventor Cassandra Pepper, lives with her mother in New York. By day, they make ends meet running a small pickle shop; but by night, they toil and dream of Cassandra shattering the glass ceiling of the Inventors Guild and taking her place among the most famous inventors in America. In an attempt to find a way to exhibit Cass’ work at the 1883 World’s Fair, they break into the Inventors Guild—and discover a mysterious and dastardly plot to destroy New York. The evidence points to the involvement of one of the world’s most famous inventors, and now it’s up to Molly, Cassandra, and a shop hand named Emmett Lee to uncover the truth—even if no one will ever know it was they who did it. Christopher Healy, author of the acclaimed Hero’s Guide series, returns with the first book in a rip-roaring adventure about the inventors history remembers—and more than a few that it’s forgotten. I have to confess I jumped into this post without reading the author’s name on either the post or the book cover. Therefore I was pleasantly surprised to find the post was written by a man. 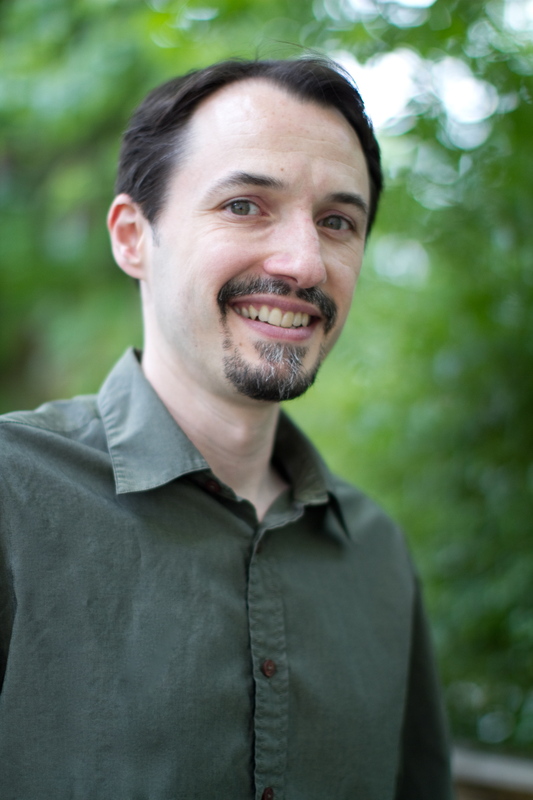 Kudos to you, Christopher, for being the kind of father and man that is helping to redefine our genderist history! Your book is on its way to me now. Christopher, thank you for raising a daughter who is firm on her convictions and is not ashamed to proclaim it. It’s something to be proud of. Behavior can be corrected but character is far difficult to build. I think she has the latter strongly in place. First – I would have called you with congratulations. Thanks for this book, and thank you for sharing this story with us. Your daughter could have been me as a kid – but I knew SO FEW women from history back then (I’m 45). I’ll put this book out with a display of a variety of nonfiction titles that I wish I’d had as a kid in school.